The situation remains tense around a strategic town on Syrian-Turkish border, where Kurdish forces are trying to stop Islamic State militants’ advance amid a mass exodus of Kurds into Turkey. In the last 24 hours there have been increasing reports that IS are moving closer and closer to Kobane (Ayn al-Arab in Arabic), a city in Aleppo Governorate in northern Syria inhabited by Kurds, says Ruptly's Lizzie Phelan, who is at the scene. 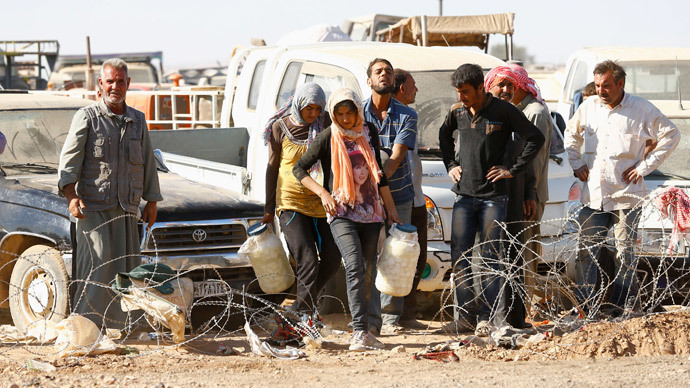 “This really is a city under siege and we’ve seen humanitarian effects of that with 150,000 Syrian Kurds fleeing from Kobane to surrounding region,” Phelan said. There have been reports of Turkish police firing tear gas and water cannons as Syrian Kurds, who crossed the border into Turkey at Suruc, were protesting Islamic State attacks on the northern Syrian border town of Kobane. 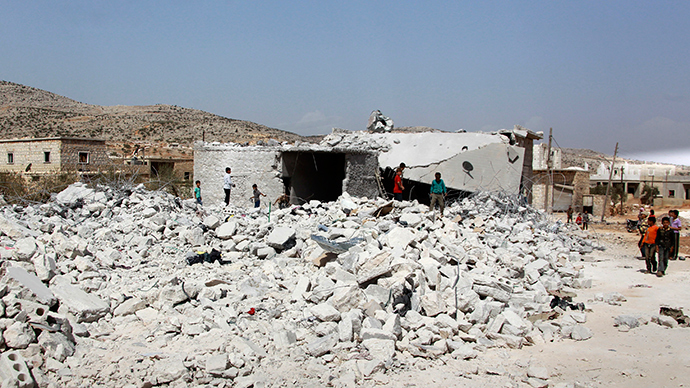 Islamic State (IS, formerly ISIS) fighters edged towards Kobane on Friday, battling Kurdish forces. At least two shells sent by IS militants hit a vineyard on the Turkish side on Friday, a local witness told Reuters. There haven’t been any reports of casualties yet. Paramilitary police arrived to inspect the damaged area. "We're afraid. We're taking the car and leaving today," vineyard owner Huseyin Turkmen, 60, told Reuters. Phelan stresses that the current situation raises a many questions as to why up until now the US-led airstrikes have targeted areas like Idlib, Aleppo, the Iraqi border, and further south into Raqqa, rather than the strategic town of Kobane. With a population of about 40,000, Kobane came under control of the Kurdish YPG (People's Protection Units) in 2012. Kobane's strategic location has been blocking the Islamic State fighters from consolidating their gains in northern Syria. 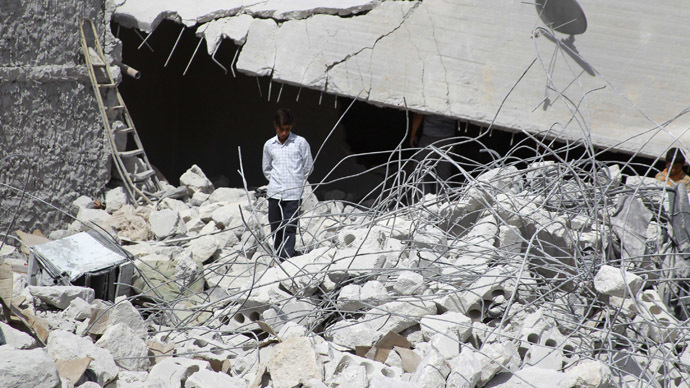 "The clashes are moving between east, west and south of Kobane ... The three sides are active," Idris Nassan, deputy foreign minister for the Kobane canton, told Reuters by phone from the center of the town. 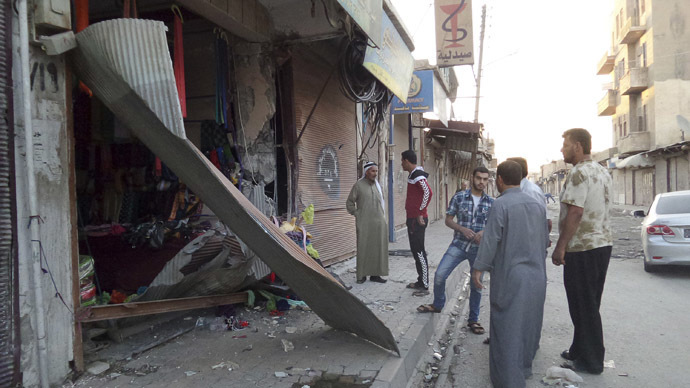 "[IS militants] are trying hard to reach Kobane. There is resistance here by YPG, by Kobane and some volunteers from north Kurdistan - Turkish Kurds - who are coming to share in the efforts of Kobane. They have made a strong response," he added. “Even me. I am the deputy foreign minister here in Kobane canton, but I am an armed man too. I am ready to defend Kobane," he said, "Every girl, every young man, every man who is able to fight, to carry a gun, they armed and they are ready to defend and fight." 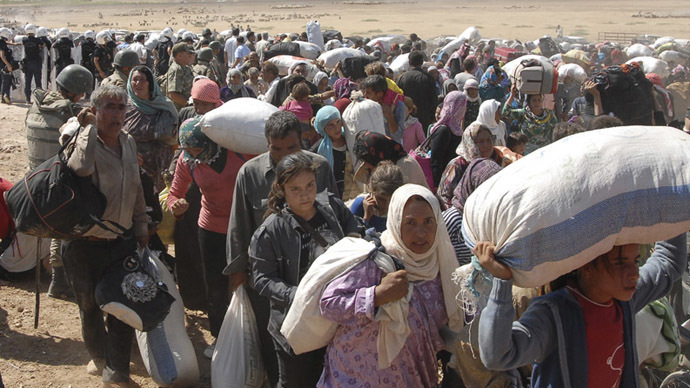 All in all over 140,000 Kurds have fled Kobane and surrounding villages since last Friday, crossing into Turkey. A UN official has appealed for increased help. "The needs keep rising - they keep outweighing the response. And this is why particularly in the case of Turkey, the support received has been not as great as we would like to see, so we are appealing. All of the UN system could do so much more to help if there were greater assistance, so we appeal strongly - it's three and a half years," Carol Batchelor, UNHCR Turkey representative told a press conference. "Over half of the Syrian refugees are children. There are over 3 million refugees in the region. There're already hundreds of thousands of Syrians in Turkey, now another 160,000 in the space of a week. 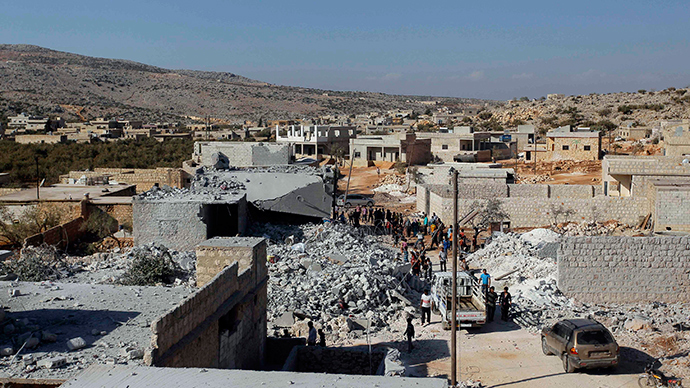 This is more people in one week in the Syria emergency than most countries have received throughout three and a half years"
Dozens of villages have been evacuated since September 16, when the IS assault began. Since then, over 300 Kurdish fighters have come to Syria from Turkey to fight against the militants. 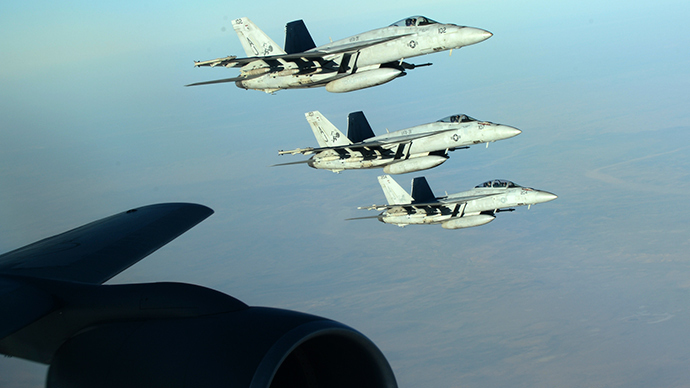 On Thursday, the Syrian Observatory for Human Rights reported that at least 14 Islamic State militants and five civilians have been killed in airstrikes carried out by the US-led forces overnight in northeast Syria.